Adopt, don’t shop! Palm Valley Animal Center (PVAC), a nonprofit animal welfare organization that has one of the largest single intake facility in the nation accepts stray and owned animals regardless of age, health and breed. 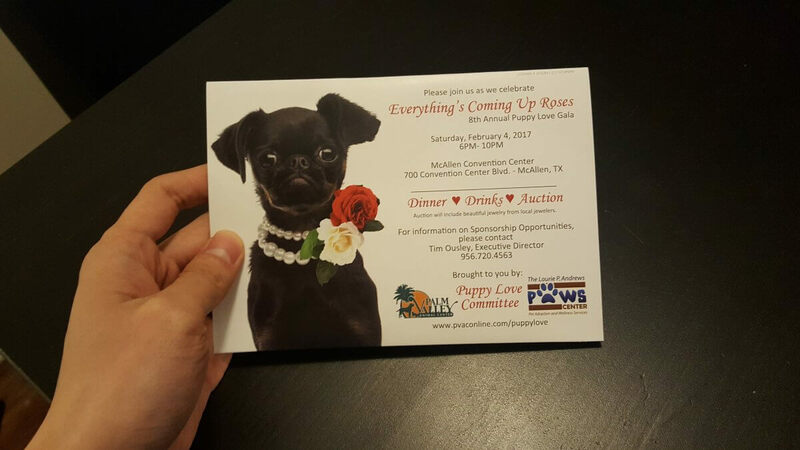 Using bigDAWGS’ Musical Greeting Cards, PVAC, together with Puppy Love Committee and The Laurie P. Andrews Paws Center, invites you to the 8th Annual Puppy Love Gala — A New Leash On Life, Starts Here!